Surrounded by the sparkling blue waters of the Ionian Sea, Corfu is the ideal place for a week of fine golf and relaxation. Corfu offers something for everyone. When not playing golf, there is plenty to do. Take a trip into Corfu Town and enjoy a tasty lunch or a spot of shopping in this UNESCO World Heritage Site. You may prefer to take a boat trip to explore the stunning coastline of this beautiful island, or simply relax on one of the 2 sandy beach areas at the hotel. Alternatively, if you are feeling active why not take part in one of the hotel's range of activities such as waterskiing, beach volleyball, tennis and mountain biking. This trip is ideal for players who have not yet achieved a golf handicap, or for golfers who have a handicap and wish to enjoy a more relaxed golf break. This gem of a course is situated in the lovely Ropa Valley, surrounded by a beautiful backdrop of hills. The greens are considered some of the finest in the Eastern Mediterranean. Designed by Donald Harradine, the course combines the natural surroundings with manmade hazards to provide a rewarding but fair test for golfers of all abilities. A fine mixture of tree-lined fairways, bunkers, lakes and streams ensure a thoroughly satisfying round for all. The course has been recently renovated and is maintained in excellent condition. This holiday is not suitable for complete beginners. The transfer time from Corfu Airport to the Kontokoli Bay Resort & Spa is approximately 25 minutes, depending on weather and traffic. 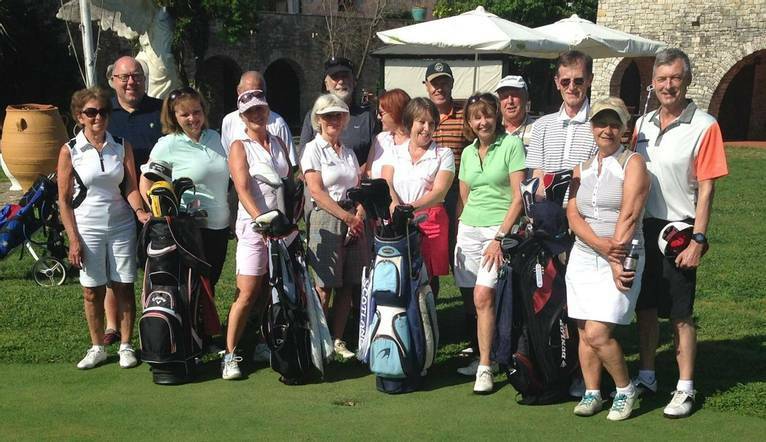 4 rounds of organised golf at Corfu Golf Club.